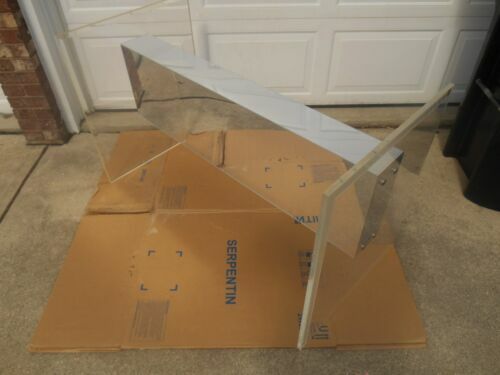 $79.79 HOLLYWOOD REGENCY Vintage Ribbon Vanity Light 30" Lovely Chrome Lucite LOOK! 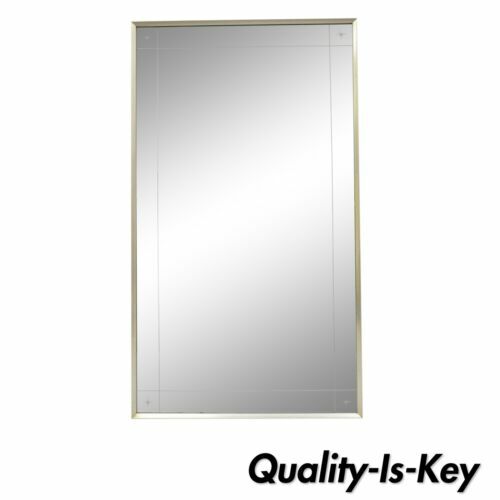 Buy: $349.99 Orrefors Crystal & Brass Table Lamp Base. Circa 1970s - Signed Ollie Alberius. 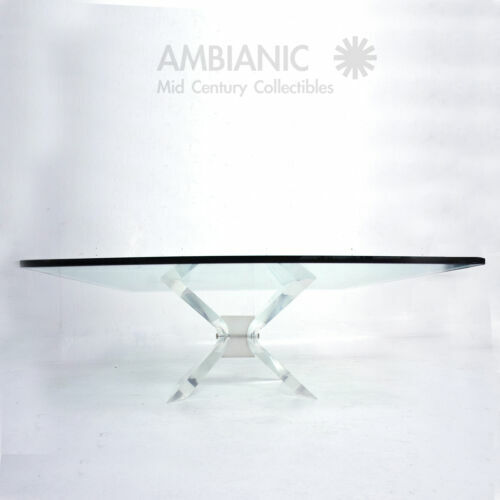 $400.0 Mid-Century Modern Beveled Glass & Chrome Coffee Table Milo Baughman Style 38"
$446.25 VINTAGE PAIR DOROTHY THORPE LUCITE CANDLE STICKS HOLDERS RARE! Buy: $749.0 Lucite Stacked Cubed Candlesticks Modernist KARL SPRINGER 60s/70s Gorgeous! 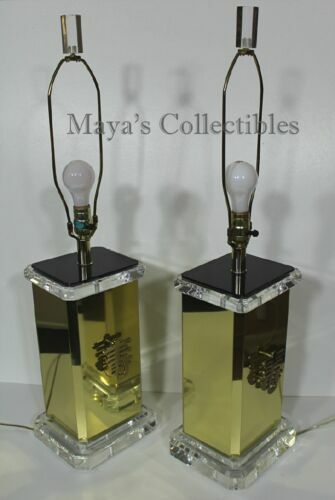 $974.99 James Mont Mid Century Pair Lamps Brass & Lucite Asian Theme Rare! 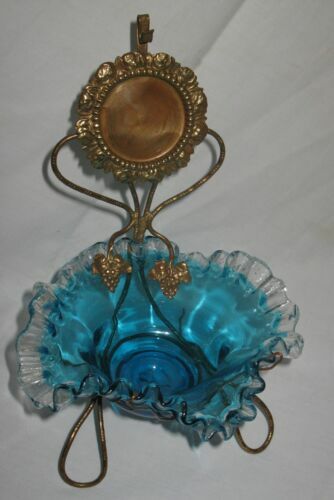 Buy: $325.0 Art Deco Frankart 3 Nymphs with Large Clear Ball 7 1/4 inches Tall Great Cond. $22.0 Large ART DECO Stepped FACETED CLEAR LUCITE DANGLE EARRINGS! HEXAGONAL! Buy: $980.0 1960s Large Lucite Eiffel Tower Lamp and Custom Celadon Lucite Lampshade HUGE ! $801.0 Mid Century Modern Clear Icicle Lucite Acrylic Pedestal Stand H 37"
Buy: $1300.0 VTG MCM George Nelson Howard Miller Arthur Umanoff Wall Clock "The Executive"